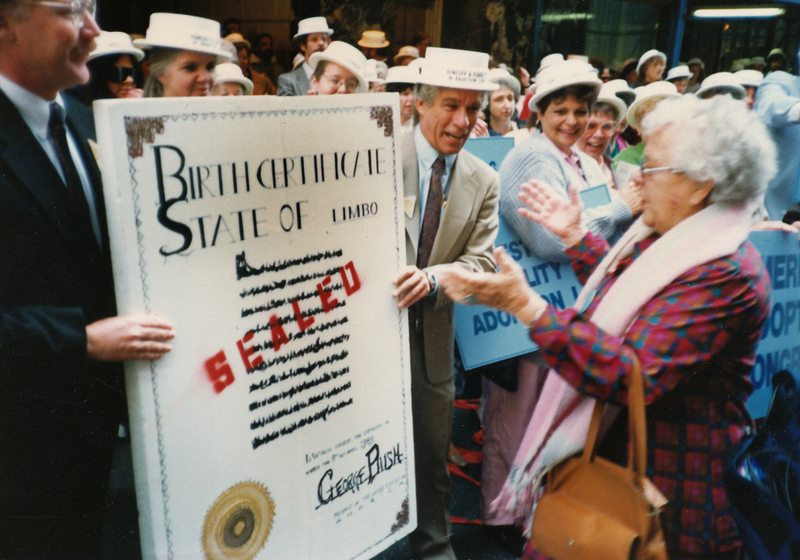 Posted on December 15, 2009, in protest rallies and tagged American Adoption Congress, birth certificates, Conferences, jean paton, protest rallies. Bookmark the permalink. 2 Comments. Thank you, Wayne, for sharing these great photos of Jean! Your insightful comments are also much appreciated. You perfectly express my feelings about this wise, compassionate, courageous woman. Look at the faces of the people around her – they say it all. Thank you Laura very much for sharing your thoughts with me. I really appreciate responses from viewers, and heartily agree with yours.